Acoustic control has become an increasingly important issue. Find the perfect solution for your workspace, foyer or concert hall in the selection of soundproof curtains by Gerriets. GERRIETS ACOUSTICS - We have the right solution for any space! Whether in the private, public or professional sector, the modern work environment can require not only a visual but also a soundproof separation of different work spaces or the creation of enclosed meeting areas. Our Sound Curtain OFFICE combines the effectiveness, flexibility, aesthetics and design to meet the challenges and demands of modern work spaces. For use in both small and large windows, we offer the acoustic fabric ABSORBER LIGHT – a uniquely developed translucent and highly absorbent semi-sheer fabric which utilizes thousands of micro perforations. ABSORBER LIGHT has an exceptional absorption level that reduces reverberation times, ensuring optimal speech intelligibility and, at the same time, adds a degree of warmth to a room. When both excellent sound absorption and room darkening are required, ABSORBER CS is the perfect choice. It is employed as a safe alternative to traditional woolen sound curtains, due to its flame retardant qualities. Sound Curtain OFFICE, ABSORBER LIGHT and ABSORBER CS have all been awarded the 'ARCHITECTURE + OFFICE 2016 Innovation Award'. Why? Find out more about our soundproof curtains! Room acoustics are complex. Having reliable measurement data and technical support throughout construction is key. All measurement data provided by Gerriets Acoustics for our noise reducing curtains originates from well-known testing laboratories, and every acoustic fabric has been measured and certified under neutral conditions. Professional consultation during construction and measurements on site can be carried out by Gerriets’ in-house acousticians – so every project will be a success! Noise pollution is a large disruptive factor, especially in daily office life. Technically, noise is defined as unwanted sound which affects health, decreases performance levels and impairs communication. Taking these factors into consideration, room acoustics should be part of every planning process to reduce stress levels and counteract long-term illnesses of employees. Well-suited acoustic design and implementation of sound blocking curtains can improve speech intelligibility as well as lower noise levels, therefore reducing overall stress levels. Unlike in machine shops or workshops, noise levels in offices normally aren’t harmful to the human ear. However, permanent disruptive noise can adversely affect both body and mind. Stress hormone levels, blood pressure and heart rate clearly increase when exposed to noise. 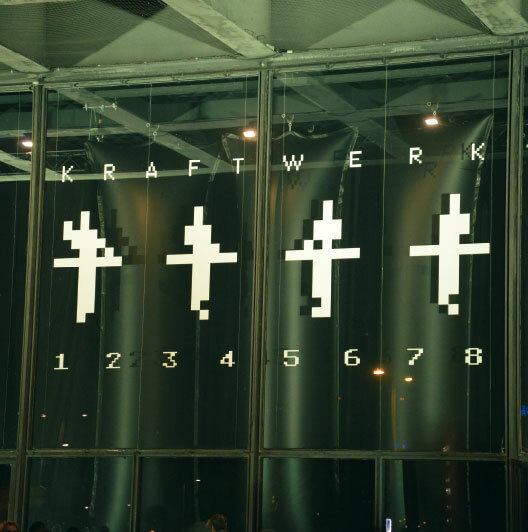 Therefore, a workplace ordinance was established in Germany which states that noise pollution should be minimized at office workstations to improve speech intelligibility and concentration. Acoustic drapery and sound dampening curtains are a flexible way to easily improve the noise level in all kinds of surroundings. "Touch and Divide." 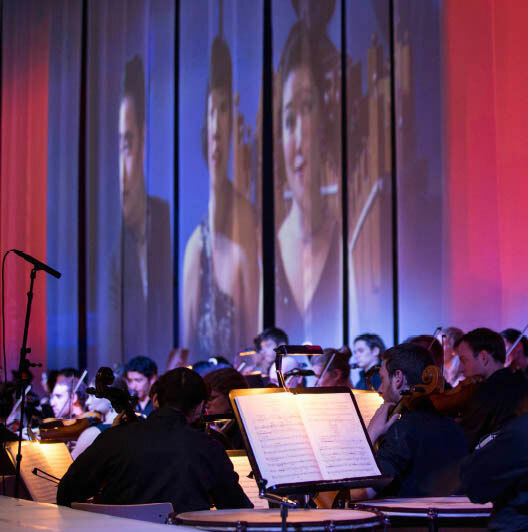 With the assistance of our Sound Curtain OFFICE, separate rooms and workspaces can be created at the push of a button. Numerous options are available ranging from 3 to 7 layer acoustic curtains with varying degrees of sound transmission as well as a number of fabrics and color options ranging from solids to patterns, even custom printing. Choice of manual or fully automated operation of the sound absorbing curtain is available. All Sound Curtain OFFICE systems are expertly tailored to your individual requirements. Our Sound Curtain OFFICE is available in three standard versions with 3, 5, and 7 layers of acoustic fabric. Individual sound certificates are of course available. To increase the sound absorption and reduce the sound transmission of the standard versions, additional layers of acoustic fabric can be added later to produce a reliable noise cancelling curtain. For the outside layers of the sound proof curtains, we offer several fabric choices. Our stage velvet ALICANTE and WOOLSERGE OFFICE are two of the most popular fabrics. Stage velvet ALICANTE is made from Trevira CS which is inherently flame retardant, sound absorbent, odorless and washable. WOOLSERGE OFFICE, available in several colors, is a popular choice in office environments as it offers a modern clean appearance with the added benefit of excellent sound absorbency. For a more custom look or art inspired sound absorbing curtain, a variety of other Sound Reduction Curtain fabrics suitable for digital printing are available. The inner layers consist of inherently flame retardant, sound absorbent, odorless and washable materials. Our Sound Curtain OFFICE is used in conjunction with our TRUMPF 95 OFFICE track system. This track system is a modified version of our legacy TRUMPF 95 track system. The Sound Curtain OFFICE can be operated manually or automatically by using the extremely quiet FRICTION-DRIVE motor. Continuous loop systems, remote control and integration into third-party automation systems are optional. With the help of the innovative Sound Curtain OFFICE, a versatile utilization of rooms is possible. Conference islands, quiet zones, think tanks and separated work areas – the applications are limited only by your imagination! Find out more about SOUND CURTAIN OFFICE! 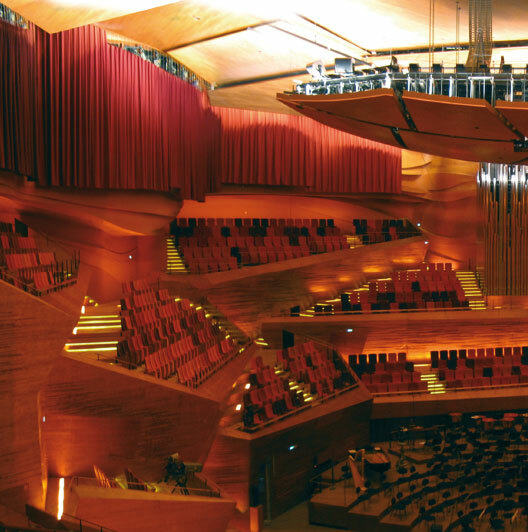 Achieving high quality acoustics in a naturally lit environment has posed a challenge throughout the years – until now. The award winning, innovative, semi-sheer translucent acoustic fabric ABSORBER LIGHT allows bright, naturally lit rooms to coexist with perfect acoustics. Most sound blocking curtains are thick, heavy and room-darkening. Our ABSORBER LIGHT is different. The translucent yet highly absorbent acoustic fabric uses thousands of micro perforations within the weave to absorb sound. On the market, it currently has the best absorption class in the field of translucent acoustic textiles. ABSORBER LIGHT combines three elements that no other acoustic fabric has achieved thus far: a visually appealing design, brightly lit rooms and perfect acoustics. At a width of 3.0 m (118”) this acoustic fabric can be used to manufacture seamless acoustic drapery for office environments at average ceiling height. Besides our standard colors—light beige, sand brown, anthracite, grey silver and white – custom dyed colors are available upon request for your acoustic drapery or noise reducing curtains. Our ABSORBER LIGHT fabric can be used in many ways. Whether in art galleries, museums, lobbies, offices or rehearsal rooms, with the help of our ABSORBER LIGHT you can create a modern, open and comfortable atmosphere. Customized applications with sound proof curtains tailored to your need are of course available upon request. Read more about the revolutionary acoustic curtains ABSORBER LIGHT! For a soundproof curtain which acoustically improves, darkens and optically enhances your room, the award winning and highly absorbent acoustic fabric ABSORBER CS is the right choice. This material was developed in cooperation with musicians, theater consultants, and an acoustic testing institute to efficiently absorb sound. Its exceptionally high density and weight of approx. 560 g/m² (16.51 oz/yd²) earned ABSORBER CS a class C acoustic absorption rating, which distinguishes this acoustic fabric as highly sound absorbent. The heavy fabric is extremely robust and stable, yet hangs soft and drapes beautifully. These merits earned Gerriets the Gold Membership at Trevira CS as well as a “Special Recognition” for the noise cancelling curtains made from ABSORBER CS. The jury was thrilled with the sound dampening curtains which felt “like a gentleman’s scarf“ while being a "highly effective, sound absorbent fabric“. 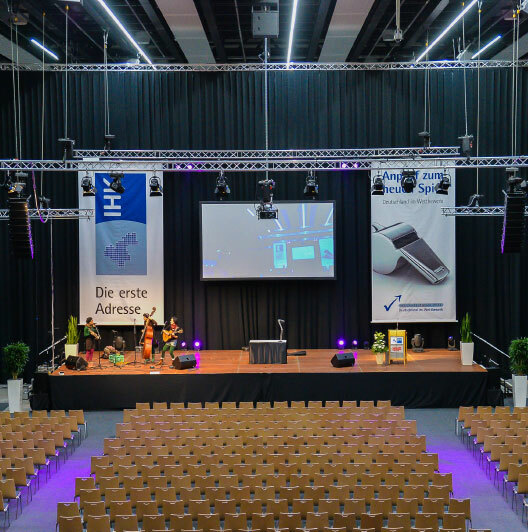 ABSORBER CS is ideal for any large multi-functional space or auditorium with variable acoustic requirements that needs to be acoustically optimized and darkened. ABSORBER CS is an inherently flame retardant alternative to te classic woolen sound reducing curtain. It is a safe option for soundproof curtains in rooms that routinely host many people. Fire regulations for theaters, concert halls and other auditoriums are easily met. 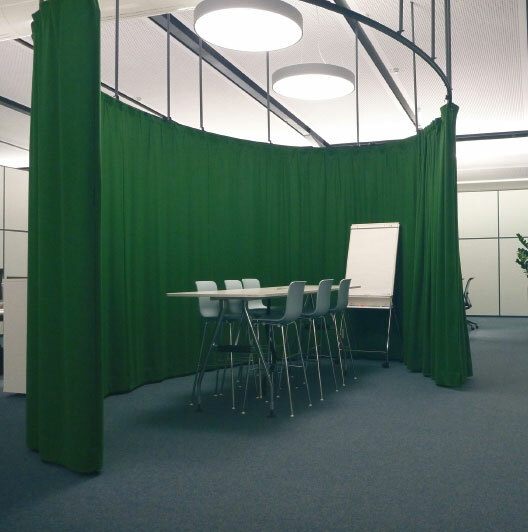 Other applications which the sound absorbing curtain is well-suited for include conference rooms, sound studios, exhibit halls, restaurants, large atriums and any other space requiring sound reduction. Customized options for sound dampening curtains with ABSORBER CS are available upon request. Find out more about ABSORBER CS sound blocking curtains!